Add a 2 Year Watch Care Plan for $499.99? 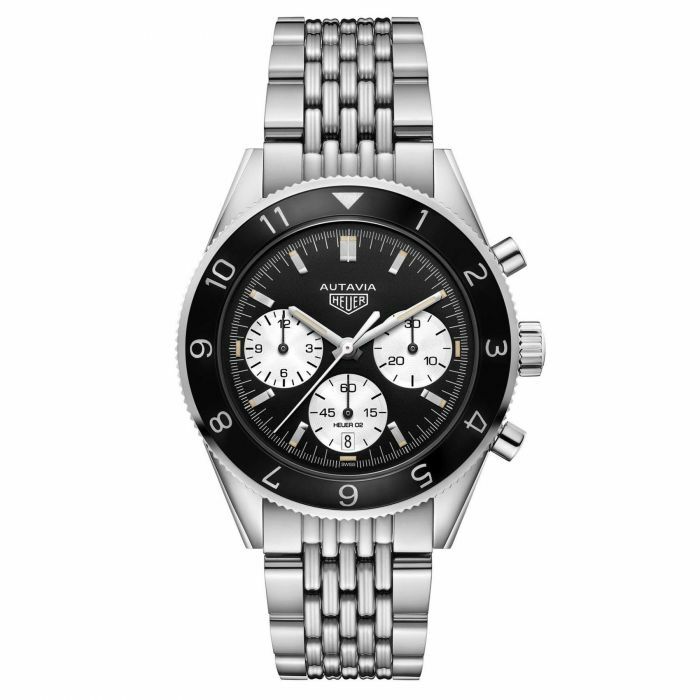 From TAG Heuer, this Heuer HERITAGE watch proves that vintage watches never go out of fashion. Keeping in time with a classic theme, the black dial boasts three subdial counters, the TAG Heuer logo, and a date window at 6 o'clock. The 42mm polished stainless steel case protects the ever reliable, Swiss made Automatic Chronograph TAG Heuer Calibre Heuer 02 movement. Completing the look is an aluminum black polished 12 hour scale bidirectional turning bezel and stainless steel bracelet.